Jeans are a staple in every woman’s closet. When you don’t know what to wear, you always lift your go to pair. Comfortable and durable, they transcend the seasons. Of course, you probably know the style of jeans you prefer, but do you know the type that suits you? This is not always the same. Here we’ll look at the perfect shape of jeans for your body shape. For apple’s it’s all about the rise. You might think you should always opt for high rise to cover any tummy issues but this isn’t always the best option. You might find a jean with too high of a stomach rise will only add more fabric to your problem area. Further more, this can be uncomfortable when sitting down and relaxing, cutting into your skin. Take a tape measure with you when you go shopping. Your ideal pair of jeans should rest at two fingers below your belly button. Measure each pair of jeans from the crotch to the waistband to ensure they finish at the ideal spot. While you might have tummy hangups, you’ve probably got legs to die for. Show them off girls! Opt for skinny legs or straight legs to make yourself look slimmer and elongate the leg. If you prefer a looser fit, the girlfriend style is a slimmer fit to the boyfriend. Don’t forget, wider leg jeans will only make you look bigger than you really are. Those styles are best avoided. To give a pear shaped booty some balance, the slightly flared or boot cut jean is for you. These leg shapes will flatter thick thighs, giving you the appearance of a more svelte silhouette. If you have a sculpted waist, a high rise waist with button details could be just what you need. This will show off your best asset while keeping you in proportion. Don’t forget, darker colors are slimming so very light or acid washed jeans might not be the best option for you. A black or solid color dark indigo would be more flattering. Similar to the apple, you’ve probably got legs eleven! Sharpen those stems by choosing second skin skinny jeans. You can go wild with rips and washes, choosing the most elaborate styles of skinnies without fear. In order to pull off the skinny look and still create balance, you’ll need to work them with a shoulder slimming top. Deep plunges are great for this, as well as low scooped necks. If the occasion calls for a top that doesn’t necessarily slim your top half, create balance with a wide leg instead. The wide leg is a very flattering look for inverted triangles in this instance. 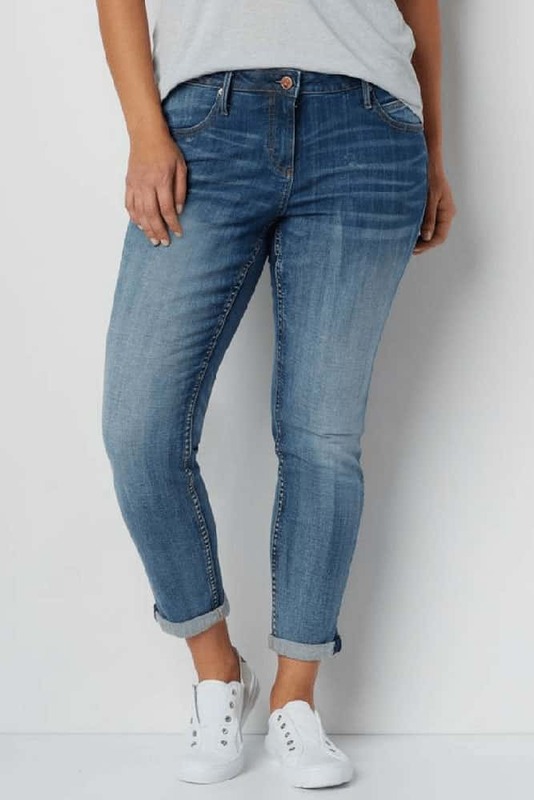 As well as being on trend, the wide leg jean looks great in an extra long length as well as a cropped at the ankle version. If you have a medium to large chest, a large booty and a small waist, you’re probably an hourglass. An official hourglass shape has the same or close to the same measurement for their shoulders and their hips. This can make jeans shopping a complete nightmare! Fear not, for we have the answer! Stretch is your best friend in this situation. 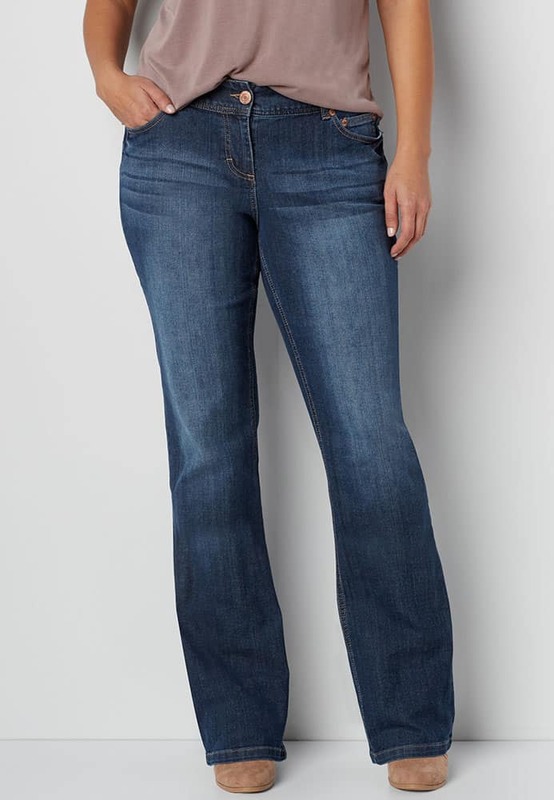 If you want true denim jeans, always look for curvy fit jeans. More and more brands are introducing a curvy range which is perfect for you. Another option is the jegging. Jeggings have come a long way since their introduction in the fashion industry. Now, you can buy jeggings that resemble jeans almost completely. With pockets, zips and a jeans fly, there is only one major difference between a great jegging and a jean. The stretch! Of course they won’t be quite as durable either, however, they will provide a great fit and ultimate comfort. This entry was posted in Body Shape Tips and tagged body shape tips, body shapes, jeans.